It’s that time of the year again, and just like last year, we would like to enlist your support in raising funds or donating to our year-end Action for Education drive. We aim to raise funds for children’s education in Bangladesh, Cambodia and Laos. To kick off the drive, we invite you to join us on November 12th. Dr. Geetha Murali, CEO of Room to Read is also looking forward to meeting you! Price: JPY4,500 per person online, includes one drink and buffet. *Door price will be 5,000JPY per person. 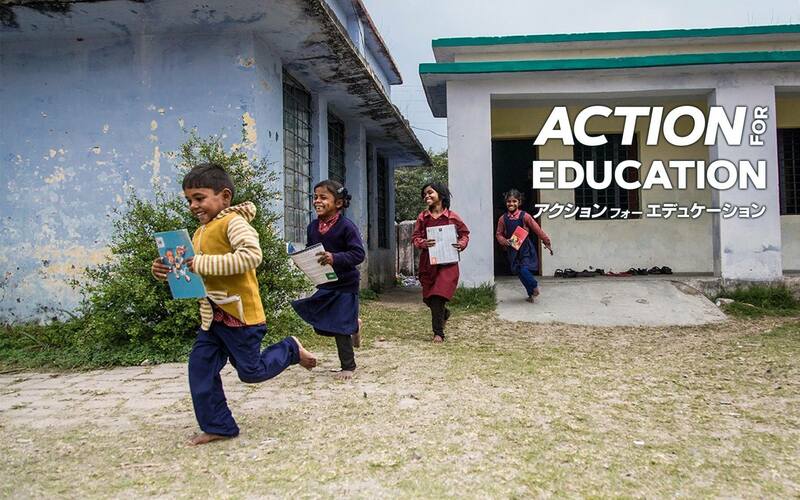 For every drink you buy, Ark Hills Café will donate 100 yen on your behalf to Room to Read. That’s enough money to fund one high-quality local language book in places where they are most needed. Action for Education 2018 is Supported by FIAT.